A couple of weeks ago I had to alter a door way that used to have double doors. Since then pipe work has been added either side and a fridge was to be positioned behind, so they decided to have the one half partitioned off and a glazed door ont he other half. 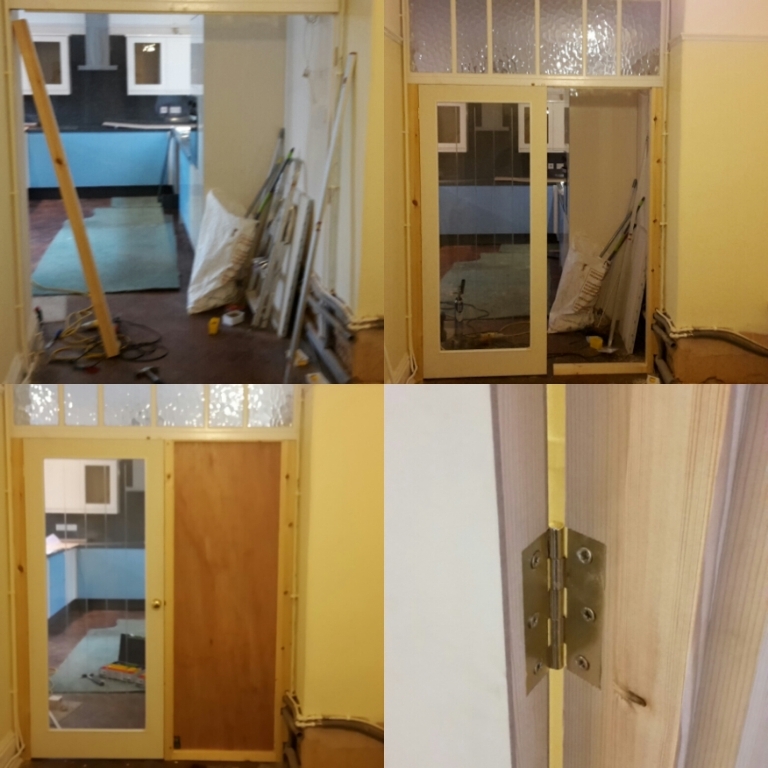 To do the work I first had to build the frame out either side 75mm, I then hung the door and built the partition to suit. Quite a tricky job when you first look at it but when it's broken down into stages it becomes quite straight forward. The customer was more than happy and sent me a thank you note when they paid.